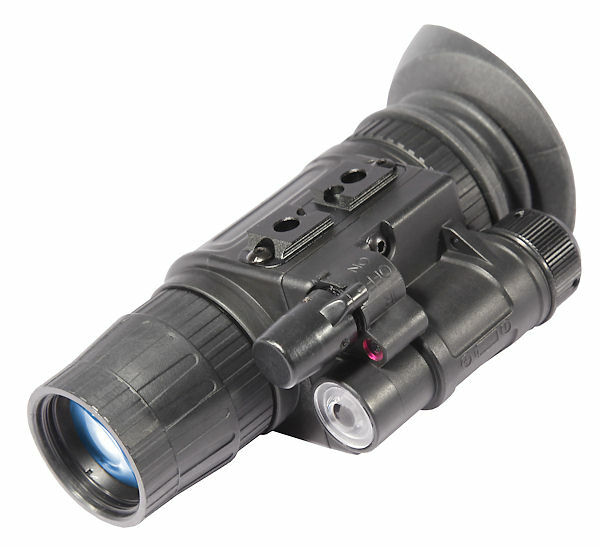 The ATN NVM14-3 Night Vision Monocular is a hand-held, head-mounted, helmet-mounted, or weapon-mounted night vision system that enables walking, driving, weapon firing, short-range surveillance, map reading, vehicle maintenance, and administering first aid in both moonlight and starlight. Each unit allows for vertical adjustment (by using head straps), fore-and-aft adjustment, objective lens focus, and eyepiece focus. The device is also equipped with an infrared light-emitting source. 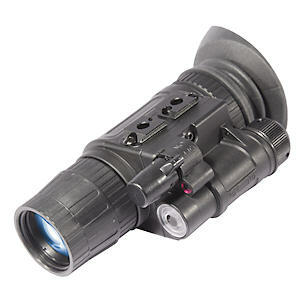 NVM14-3 Night Vision monocular utilizes the principle of intensification of the residual light which is reflected from the surrounding objects. The optical system of the monocular consists of: an objective lens, an image intensifier tube and an eyepiece. 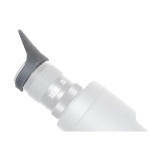 3rd Generation tubes provide a combined increase in resolution, Signal-to-Noise and photosensitivity over tubes with a Multi-Alkaline photocathode. Generation 3 is the standard for the USA military. Highlights of the Gen 3 specifications are the typical SNR of 22 and resolution of 64 lp/mm.